These easy knitting patterns are suitable for anyone that has learned the basic knitting techniques (how to knit, how to purl, how to cast on and off) and are really for something a little more challenging than items knitted in plain garter stitch. Some of these patterns use a different stitch pattern, a textured stitch pattern for example, or more than one colour (basic stripes). There will also be some fairly easy shaping - the pieces in these patterns are not going to be basic squares or rectangles! 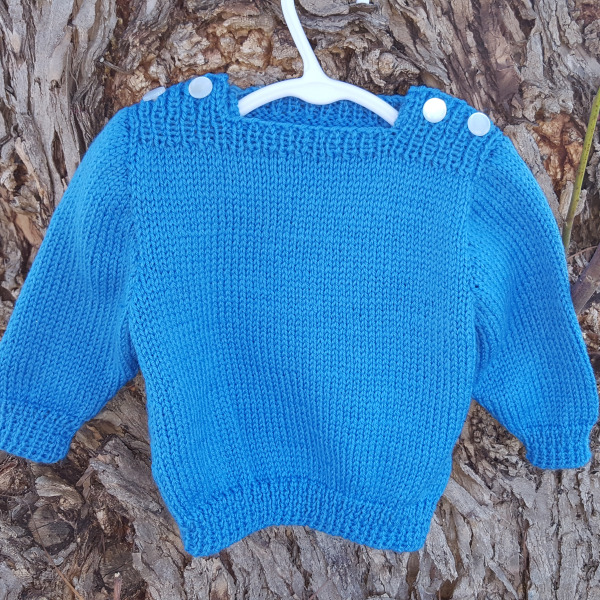 This simple child's 8-ply jumper pattern is rated as an easy knit as it has very little shaping and is knitted in stocking stitch. The jumper consists of four pieces, the back and the front are the same as are both of the sleeves. 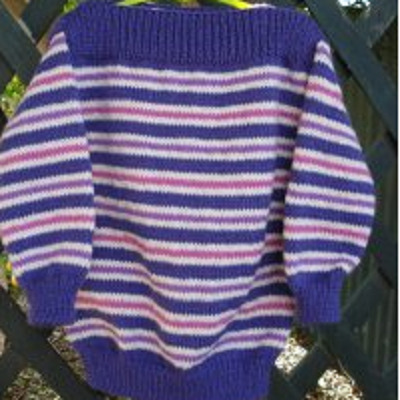 This is the same jumper as the simple child's 8 ply jumper but with the addition of stripes. 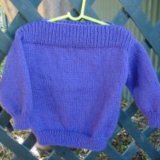 This basic baby sweater knitting pattern is rated as an easy knit as it has very little shaping and is knitted in stocking stitch. The jumper in this pattern consists of four pieces, the back and the front and two sleeves. This pattern is for a narrow scarf knitted in a two by two rib. I knitted my scarf using a white 8 ply pure wool and am very pleased with the result. 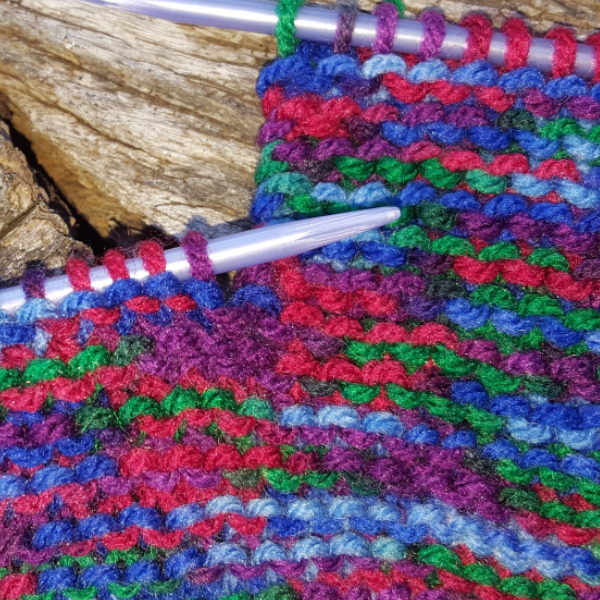 Although more 'difficult' than the Garter Stitch Scarf it is still easy enough for most beginners to make! 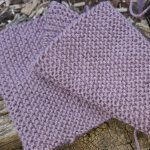 This garter stitch check baby blanket knitting pattern is suitable for all knitters including beginners. 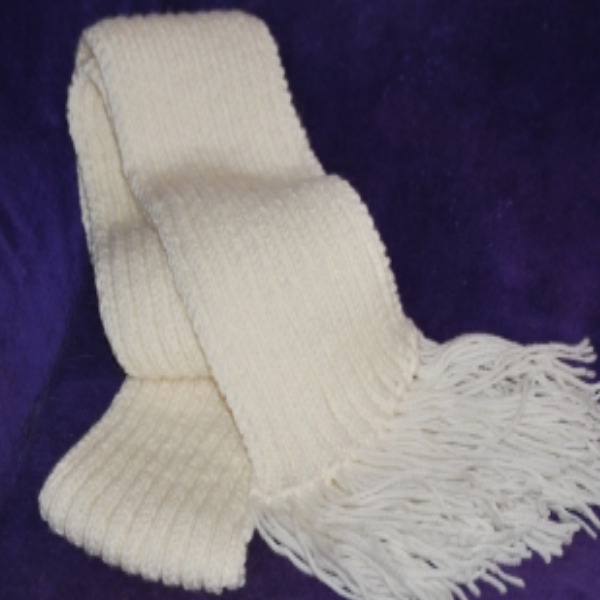 The finished size of this blanket is approximately 80 cm wide by 120 cm long. The sweater will fit a small dog with a length of 25 cm from the neck to the tail and a chest measurement of approximately 40 cm and features a collar and velcro closure below the dog's chest. . If you can't find anything on this page that takes your fancy, you could have a look at my page of beginner knitting patterns. Those patterns are suitable for beginners with or without experience. 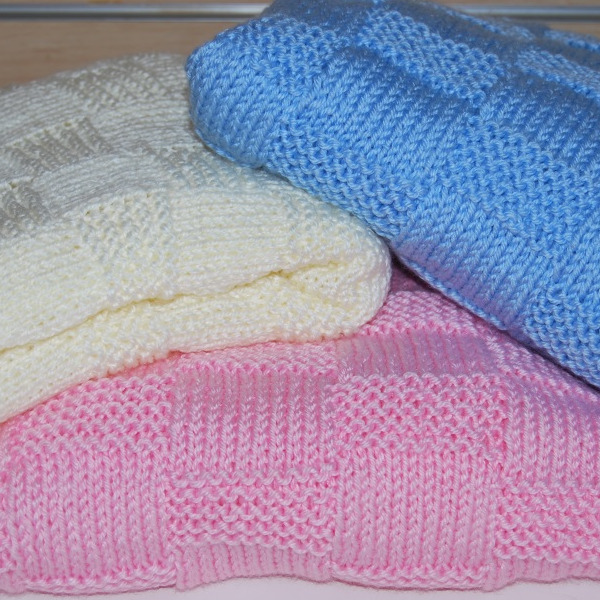 Most are knitted in garter stitch or stocking stitch and have little or no shaping. 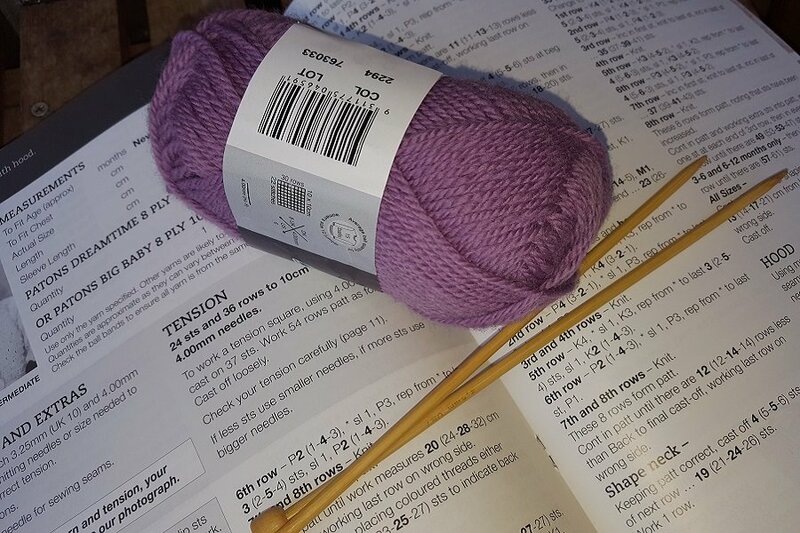 The are perfect for anyone who wants to practice their knitting skills and perfecting their tension before tackling anything more complicated.